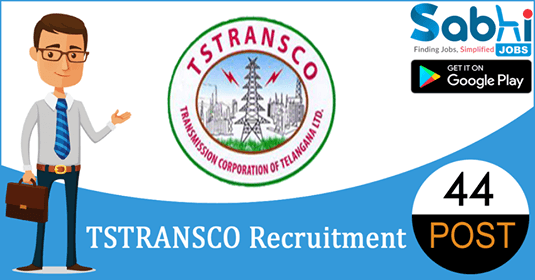 TSTRANSCO recruitment 2018-19 notification has been released on official website www.tstransco.cgg.gov.in for the recruitment of 44 vacancies at Transmission Corporation of Telangana Limited. The candidate who is looking for Junior Accounts Officer can apply online application from 28th August 2018 to 11th September 2018. Qualification B.Com 1st Class or M.Com 1st Class from any recognized University in India or pass in CA/ ICWA-Inter. How to Apply Interested and Eligible applicants may apply online application through the website www.tstransco.cgg.gov.in from 28th August 2018 to 11th September 2018.